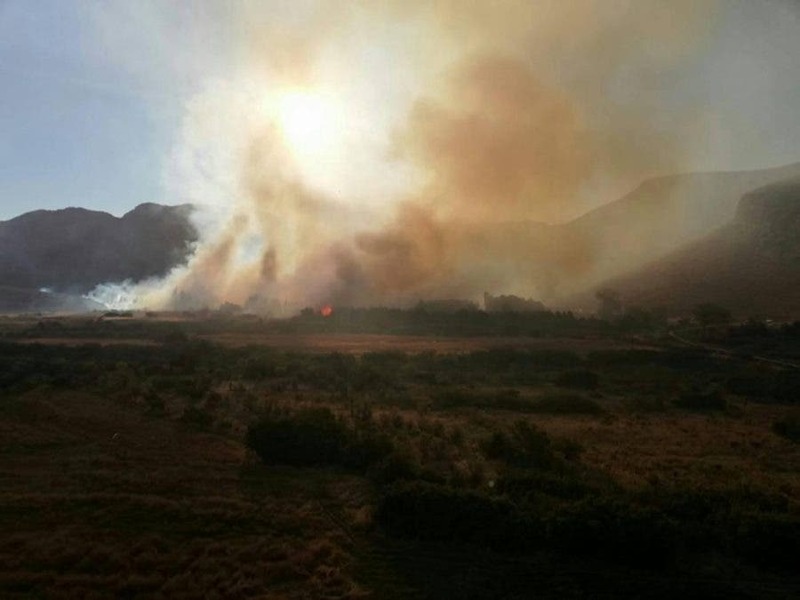 A devastating wild fire has torn through the historic town of Wupperthal (also spelt Wuppertal) in the Cederberg – tragically destroying most of the small tourist town which is nestled outside Clanwilliam, in the Cape West Coast District. 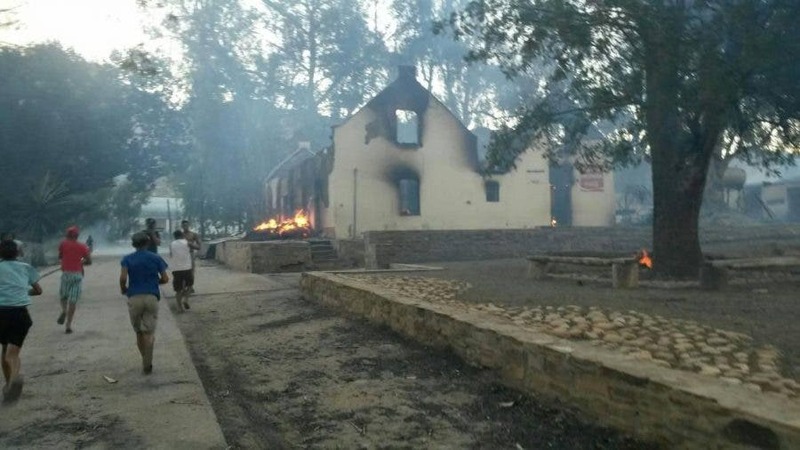 The SABC News Western Cape said Friday evening that it is estimated about 30 houses have burnt down, along with the Town Hall, a school hostel, shops and other buildings at the historic Morovian Mission Station of Wupperthal. 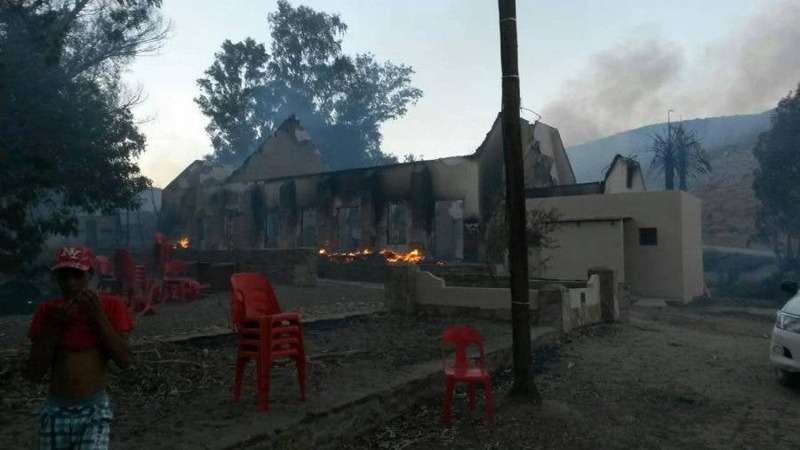 UPDATE MON 31 JAN: According to Moravian Reverend Martin Abrahams, 55 homes have been destroyed, as well as the community hall, the school hostel, a restaurant, shopping centre and the church minister’s parsonage. Municipal Fire and Rescue Services, assisted by neighbouring municipalities, are together battling to bring the “inferno” under control, the SABC reported on Sunday night. Ambulance services have been deployed in the area and Emergency Medical Services are on standby through the night. Communication in the area is down. Apparently many of those affected are pensioners, and in need of medication. “At this stage it is not yet clear how the fire started,” said the SABC. 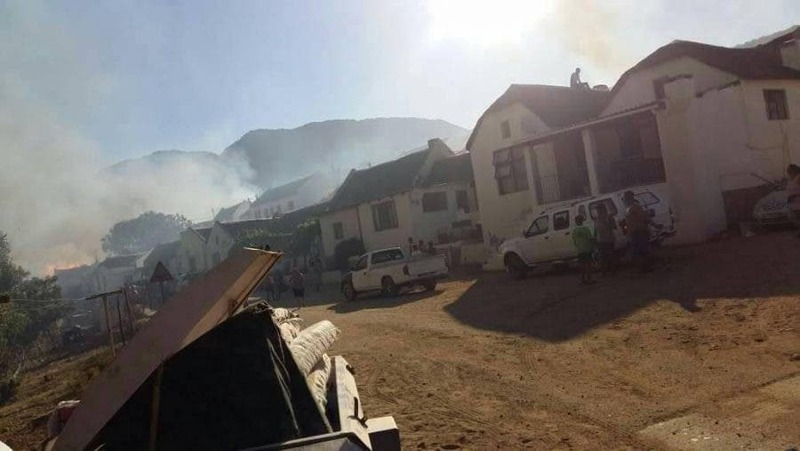 There are conflicting reports that it was either “an uncontrollable mountain fire’ or the result of a fire which started at a residence and a thatched roof caught fire. 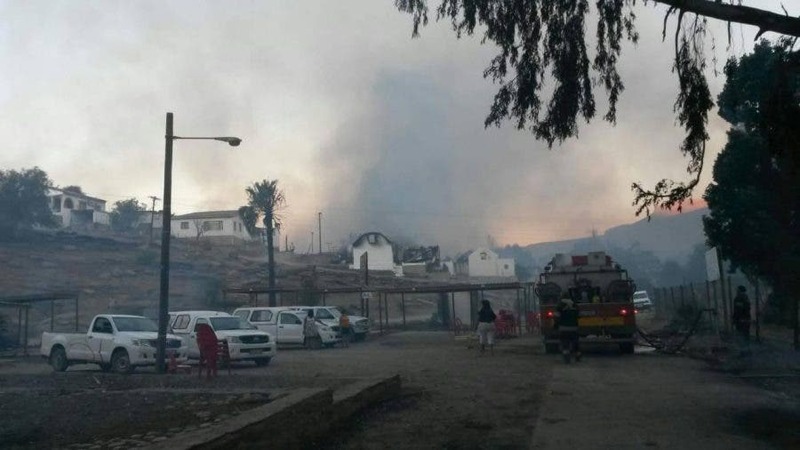 According to Valley FM, SAPS Clanwilliam reports that the majority of Wupperthal has been burnt down, which will be a devastating blow to the town, its people and its tourism… as irreplaceable artefacts and buildings of great historic significance have gone up in flames. There are unconfirmed reports of some victims suffering burns. The City of Cape Town’s Wilfred Solomons said hundreds of people have been displaced. According to latest updates, at least 200 people are affected. Anyone in the west coast vicinity of Clan William has been asked to please drop off clothes and food as well as energy drinks at the NG Church Clanwilliam from 07h30 Monday morning. 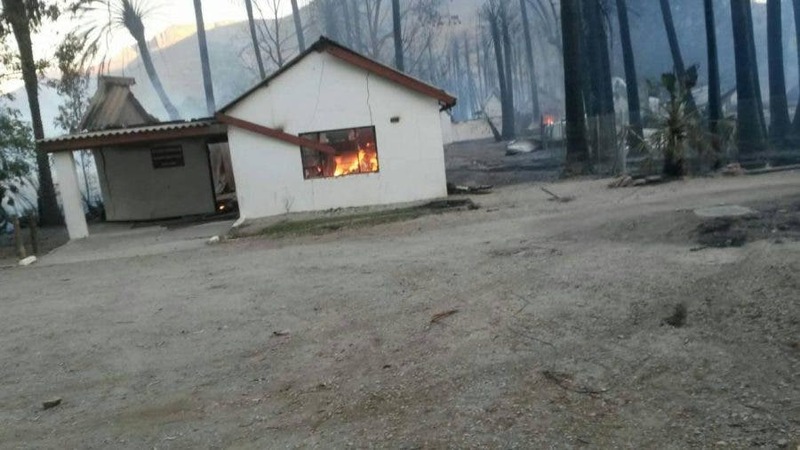 Many have called on South Africans to pray for those who have already lost homes and those whose homes are in danger of being burnt by the fire. Wupperthal was established in the 1830s when two German missionaries settled among seven Khoikhoi families living in the valley. It has been a Moravian mission station since 1865, according to the town’s website. The picturesque village was loved by tourists for its old thatched Church, a store and beautiful thatched-roofed cottages. The area is well known for its velskoen, roltabak (dried and rolled tobacco), dried fruit and beans, and for its famous rooibos tea. 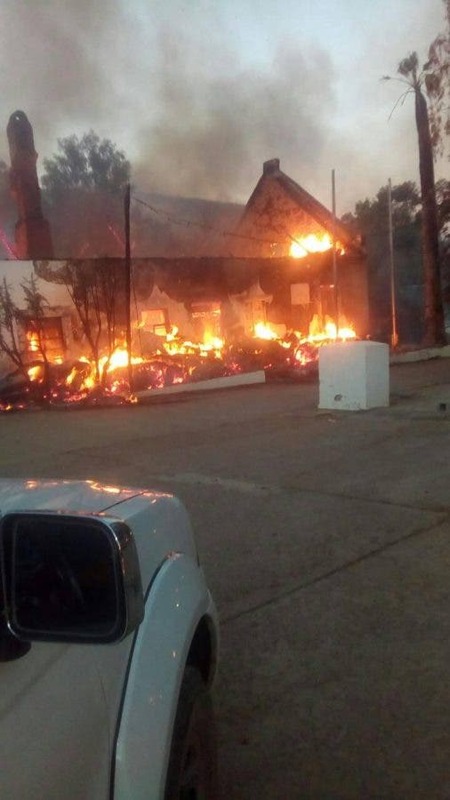 Last night an NG Kerk in Maitland, Cape Town, was also destroyed in a fire. 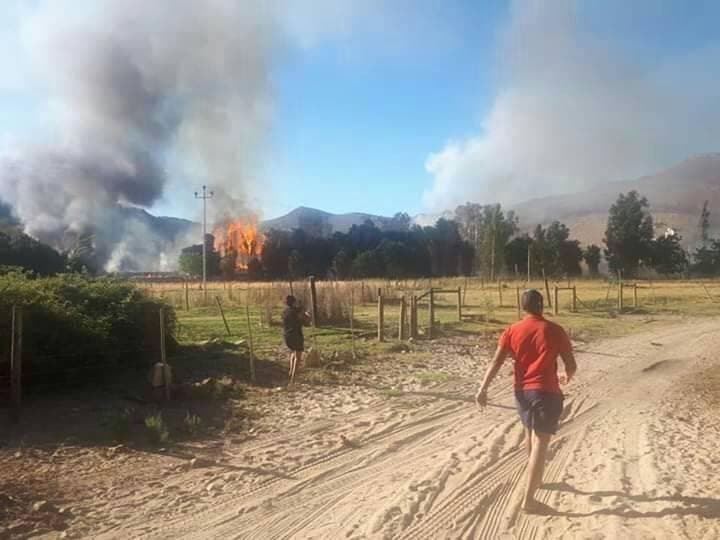 My Geliefde Fb maats en FAMILIES ons bid vir Wupperthal se mense dit brand by kerk, saal, winkel en huise reeds baie skade..Asb ons bid vir geen mense verlies!